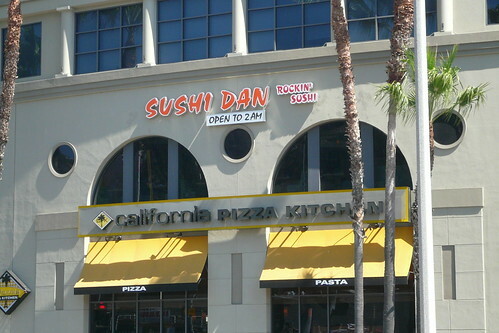 Am Sunset Boulevard in Los Angeles gibt es Sushi Dan. This entry was posted on Saturday, September 6th, 2008 at 5:26 pm and is filed under Dan . You can follow any responses to this entry through the RSS 2.0 feed. You can skip to the end and leave a response. Pinging is currently not allowed. Ich hoffe doch mal dass der Pizzaladen im Erdgeschoss ist und die Sushibar darüber. Sonst wäre das ne üble Kombination.